Hardwood stock, solid brass face, blued steel blade. 3 rivet fixing. 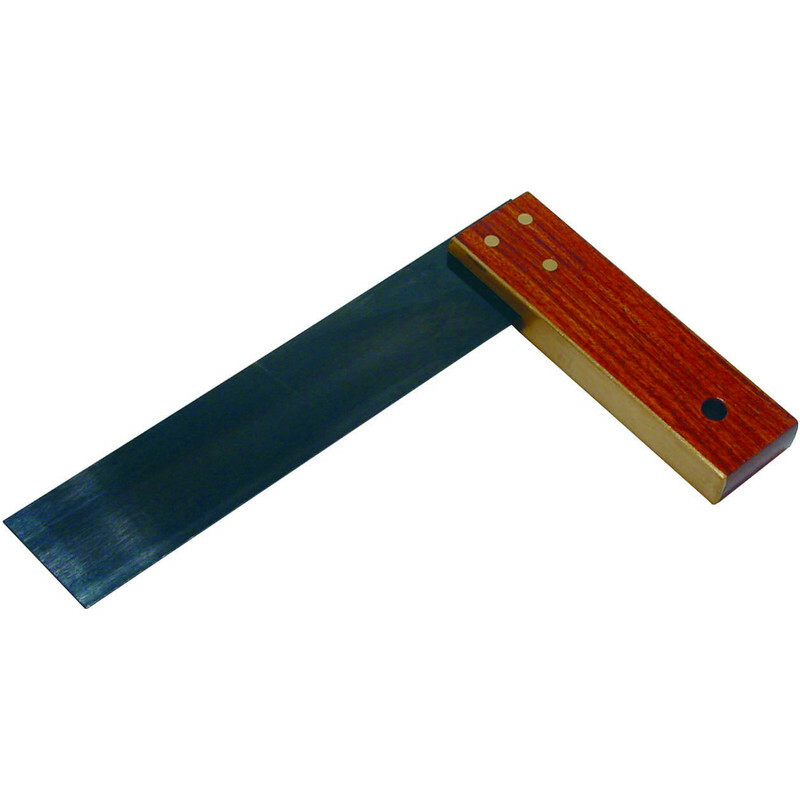 Hardwood Carpenters Square 230mm is rated 3.2 out of 5 by 9. Rated 1 out of 5 by rich1234 from Not Square This is exceedingly unsquare for something that's only job is to be square. I'm talking about being around 1.5 degrees out. Useless and had to take back along with the engineer's square which had the same problem. Rated 5 out of 5 by Andrei85 from Good things It is practically for use. Nice. Rated 5 out of 5 by Wardster from Very good for the money Bought this to help with a fence project. All good no complaints. Rated 2 out of 5 by Rob the plumb from If I'd known... If I'd known it was a silverline square I wouldn't have bought it. Rated 5 out of 5 by Rondo from Woodwork square This is a good quality tool that allows me to get the best possible angle. Rated 1 out of 5 by Scottydb0 from Utter rubbish Out of square by around 2 degrees. Would have taken it back but had binned the receipt. I would advise you to check before leaving the shop!